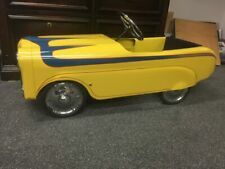 This is a very rare pedal car. 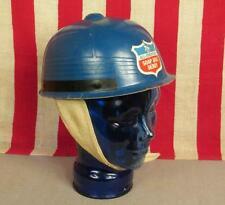 Vintage 1963 Soap Box Derby Helmet 26th Annual All American Derby Original Nice! From the 1963 Derby. in Great shape! Nice, front 'Shield' Race sticker. Features: Made of high quality material. 1 x Chassis Wear Pedal Upper Pedal. Material: stainless steel. Made of high quality material. We maintain high standards of excellence and. Item Size：16/3.5/1cm.